One of the most important things you can do when shopping for real estate is determine how much mortgage you can afford (assuming you aren’t paying all-cash). The best way to do this is with a mortgage calculator, not a bar napkin. After all, if you don’t know what you can actually afford to spend, you could be in a for a rude awakening when it comes time to apply for a mortgage. Or you might just waste a lot of your time. In reality, you probably won’t get that far without at least getting a mortgage pre-approval. Real estate agents won’t take you seriously, and home sellers likely won’t give you the time of day. The mortgage affordability calculator below can give you a head start in front of other prospective home buyers competing for the same property. Just remember that it’s good to live at or even below your means! The first step to using this mortgage calculator is to enter your gross annual income, which is your salary before taxes for you and any co-borrowers that might also be on the home loan. 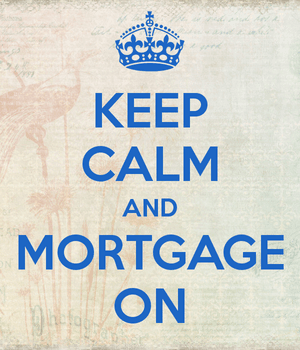 It can be your annual household income if you and a spouse will both be on the mortgage and making the loan payment. Next, enter all your minimum monthly credit card payments that show up on your personal credit report (business credit cards typically won’t show up other than ones issued by Capital One). You can use a free site like Credit Karma to gather all these amounts. Note that they can change from month to month based on your revolving balances, but this will at least give you a good ballpark idea of affordability. Do the same for any auto loans or leases you may have, and any other fixed monthly debts that show up such as student loans, personal loans, etc. You basically want all your monthly liabilities accounted for, as they all eat into how much you’ll have leftover for a mortgage payment. The next key detail is down payment because that will greatly affect home affordability. Someone able to put down 20% will have a much smaller loan amount than someone only able to muster 3.5% down with an FHA loan. So really two questions need to be answered here – you have to determine how much house and how much mortgage you can afford based on the purchase price and down payment. Same goes for mortgage rate – the lower the interest rate the more you’ll be able to afford, all else being equal. Assuming you’re looking at adjustable-rate mortgages, you may still want to enter the higher, comparable 30-year fixed rate because the mortgage lender may qualify you differently for an ARM. And by differently, I mean unfavorably because they know ARMs tend to adjust higher. If you’re planning to put down 20% and have a solid credit score, you can probably enter those best-case mortgage rates you see advertised. If you don’t have a great credit score and your down payment is limited, you’d be smart to enter in a higher interest rate to more accurately ballpark home affordability. Finally, select a loan term – most will go with the default 30-year term, though 15-year mortgages are also fairly popular, just not for most first-time home buyers. Lastly, enter your homeowner’s insurance and property taxes as a monthly figure (annual total divided by 12). And also monthly mortgage insurance and HOA dues if applicable. The mortgage affordability calculator will spit out the loan amount (finance amount) and the total purchase price you can afford based on a debt-to-income ratio (DTI ratio) of 28/36 for medium credit and 36/42 for good credit. You can generally use the good credit numbers because most mortgage lenders will allow that back-end figure to go as high as 43%, or maybe even higher with compensating factors. But it’s always good to leave a little cushion in case anything is left out or underestimated, which is often the case. Lastly, note that home affordability calculators are only as good as the information you provide. If you leave things out or underestimate everything to get a favorable mortgage payment, you might actually be doing yourself a disservice. I always recommend doing the opposite (overestimating) so you can prepare for the worst. For some reason, housing payments always tend to creep higher than anticipated.